My weekend started early with fun and ended with a ton of fun. I went to Toronto to attend Blissdom Canada. Blissdom is a social media conference where you network with other bloggers, tweeters and bump elbows with different companies! 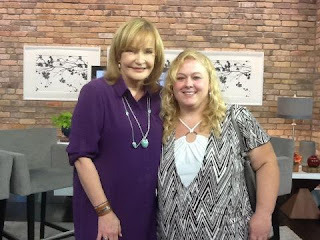 For some of us lucky people, the conference started with the opportunity to attend a live taping of the Marilyn Denis show. The audience members were sent home with 2 gift certificates. One is for Beyond the Rack and the other is for eLuxe, both are for $50 bucks!! We also received a book called Sh*tty Mom, which so far is extremely funny! The staff of the show gave us all a great experience and we had a lot of fun. Marilyn Denis is an extremely nice person and she even posed for a picture with each of us. When we registered for the conference, we were greeted by Christine Magee and Sleep Country Canada who provided us with a free pillow! Mine is their new Memory Foam Contour Pillow! With an early start to Saturday morning, I attended a morning session that was especially for us Newbies to the Blissdom conference. It was a great time meeting all the other newbies who were just as nervous as I was attending for the first time and a great way to break the ice. Right after the Newbie meeting, we went straight to breakfast provided by Dove! There was a huge selection of food for us to choose from. They even had items that I could eat too! After Breakfast, there was a presentation by them which was pretty interesting. We even received a bottle of Dove Body Wash as a gift from them! After breakfast and the Dove presentation, Blissdom had an opening session to start off the day followed by micro-sessions with various experienced bloggers and authors and Social Media veterans They were great and I learned alot. 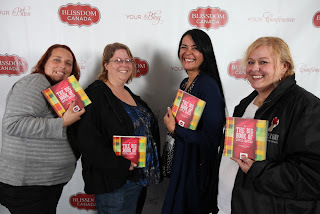 We also had some time in the afternoon to check out the various sponsors of Blissdom Canada. They all provided us with an insane amount of Swag! Click here for the link to the list of sponsors! 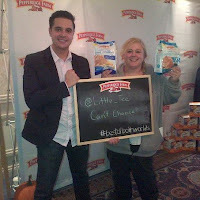 Me and the Pepperidge Farms guy! 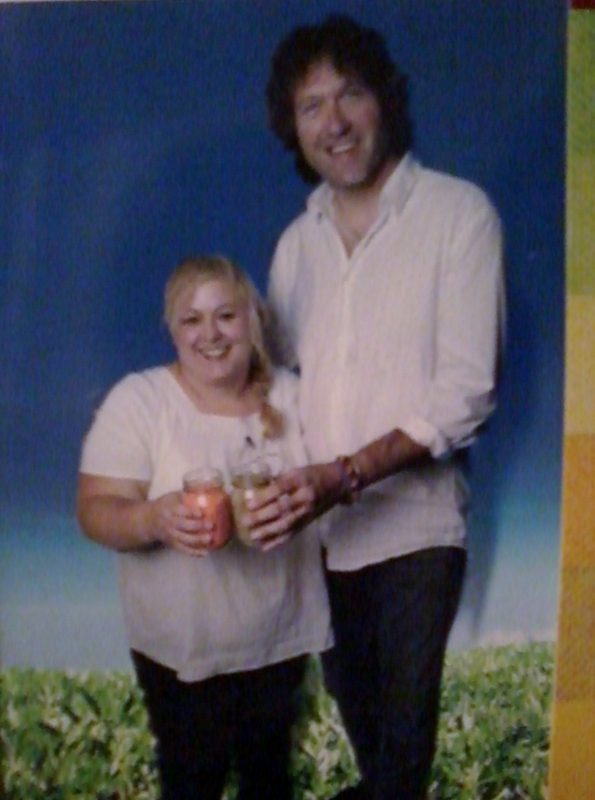 Chef Michael Smith and I! 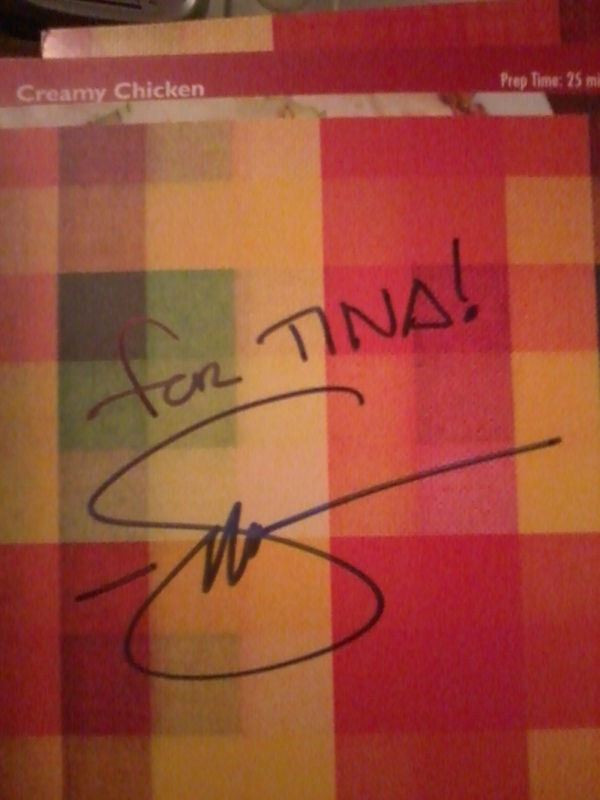 We also got an autographed copy of Chef Michael Smith's Cook Book, The Big Book of Little Lentils and a picture with him! My Roomies and I with our books! Saturday night ended with a Costume and Karaoke Party! 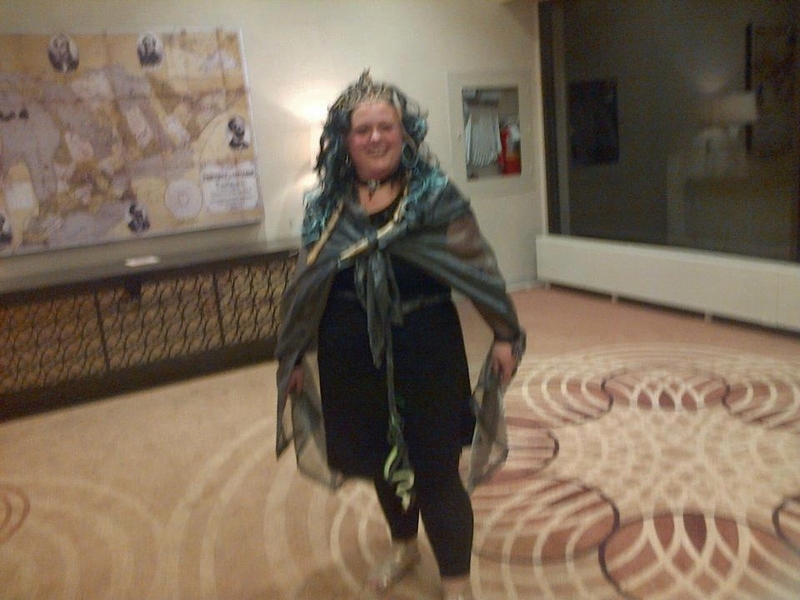 I dressed up as Medusa! The picture is a bit blurry but its the best one I have. The weekend ended with an excursion to GM sponsored by Chevrolet Canada. We got to test out some cars on some slick courses, learn about new safety features and the highlight of my day, drive a brand, spanking new Camero! Thanks to all the sponsors of the 2012 Blissdom Canada Conference for showing us all a great time! Thanks to all the people who took the time to organize the conference as well! I cant wait for next year!! 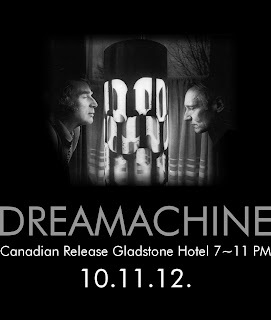 Last night I had the opportunity to attend the Canadian Dreamachine Launch Party held at the Gladstone Hotel in Toronto. Congratulations to my very good friend John Smoke, for a successful launch party! I'm proud of you and your accomplishments! “… the world’s only art work viewed with eyes tightly closed.” Used by creative people for over half a century, the Dreamachine has been reputed to create multi-layered geometric and organic shapes and symbols, swirling in a rhythmic pulse of holographic imagery, giving a feeling of being surrounded by colors. The flicker correspondes to Alpha Waves which are normally present in the human brain while being both alert and relaxed where mental imagery is more easily created and visualization techniques are more effective. Aldous Huxley remarked: “The Dreamachine is an aid to visionary experience." People have been using the Dreamachine for over 50 years. It has been used by many prominent artists and modern thinkers with great success. William S. Burroughs, David Bowie, Paul McCartney and Kurt Cobain, just to name a few. I took my 18 year old son with me last night. He was so impressed with the Dreamachine, he brought one home! 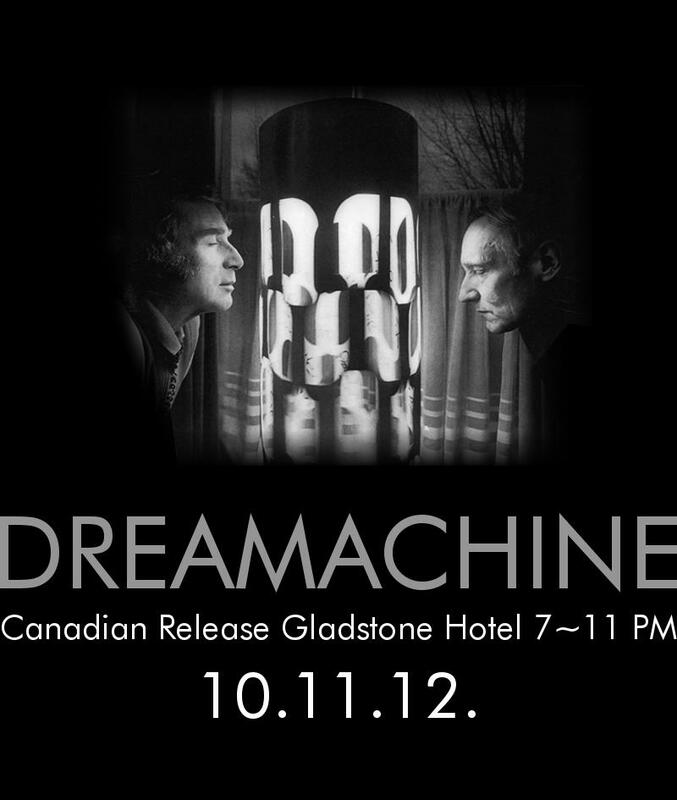 Take a minute to check out dreamachine.ca to find out more about it and maybe even order one for yourself!! 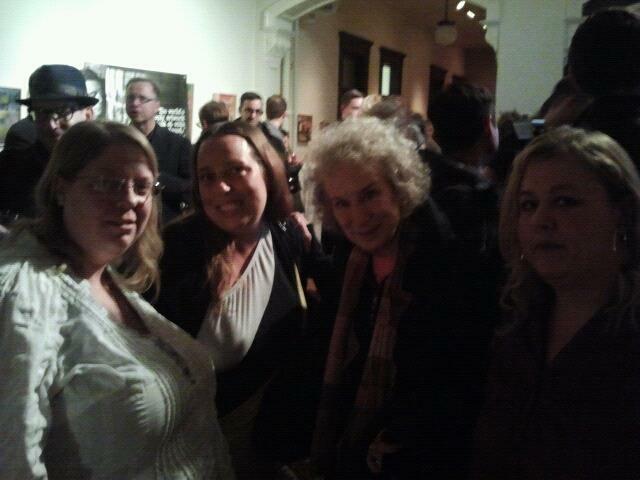 An added bonus to an already awesome evening, was getting to meet and take a picture with Canada's most famous Author and Poet, Margaret Atwood! This is a picture of my friends Ruth and Cheryl and myself and the Famous Lady herself! 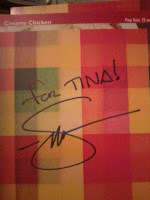 She was very sweet and gracious about the pictures!! Celebrating the Start of the New Me! My Weight Loss Journey. All my life, I have struggled with weight issues. I could never seem to get off the yo-yo string of weight loss and weight gain. It was always a pattern of 1 step forward and about 20 steps back. I would be successful to a point, then end up gaining everything back then some. 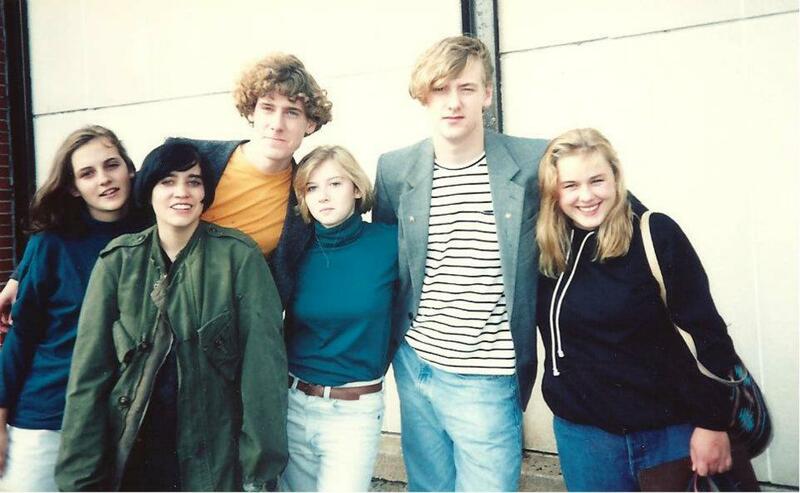 In high school my weight constantly fluctuated. I was always chunky, but when I look back at pictures from those days, I was far from being huge. In my mind, I always thought I was so fat, but as you can see from the pics, that was far from the truth. 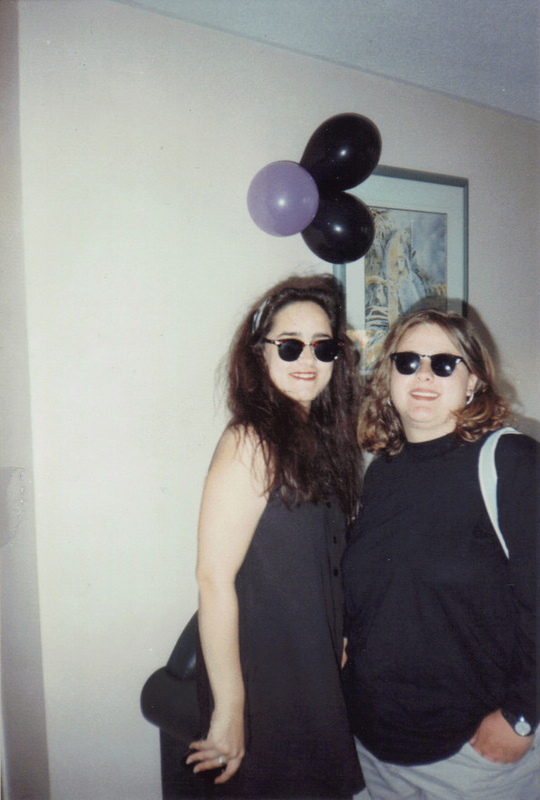 I was fairly active and full of energy and a wee bit chunky, but definitely not fat! 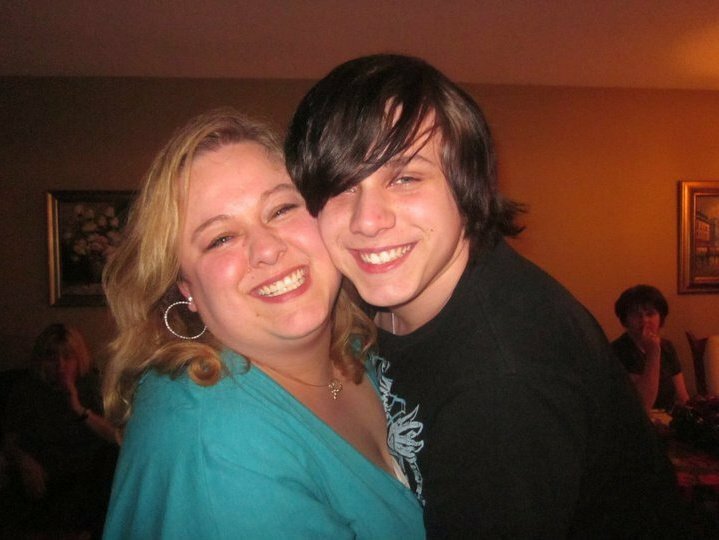 When I was 20 I had my 1 and only child. I put on so much weight with him. I remember sitting in the Doctor's office crying about how much weight I was putting on...it was way more than the average. By the time I gave birth to my precious bundle of joy, I was 262 lbs, and that was AFTER I gave birth. Justin and I when he was 2. I did manage to drop another 20 or 30ish pounds, but the weight just didn't seem to want to go less than that range, I also managed to put that back on too. My son is now 18. I have spent the last 18 years hanging on that yo-yo string. Justin and I Christmas 2010. So, here I am, at 38 years old and after a discussion with my Doctor just over a year ago, we came to a decision that I could benefit from Gastric Bypass Surgery. 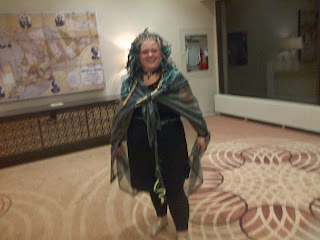 I spent 1 year travelling from Northern Ontario to Toronto for various appointments all to help prepare me for my weight loss journey. I feel a wee bit vulnerable to tell you all what my starting weight was, but I will anyhow. My very last appointment for pre-surgery, I weighed in at 300 lbs. So, now you know..and you know what? 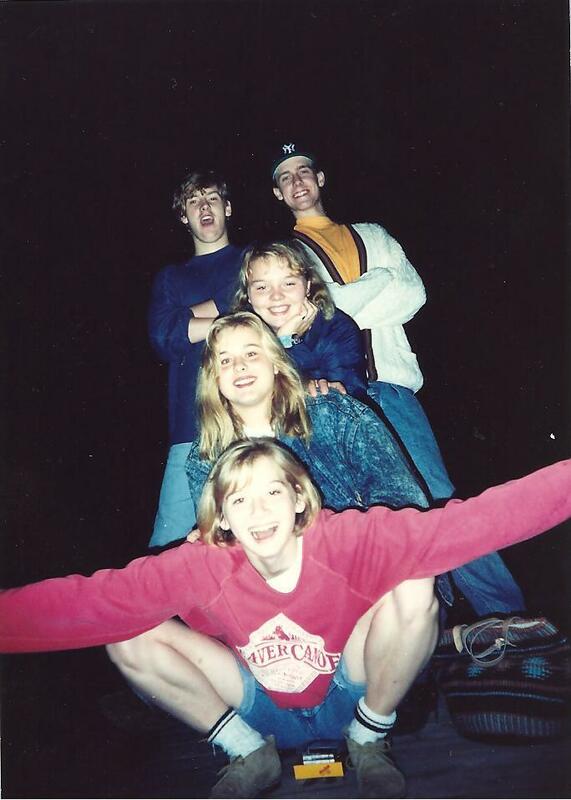 That was the old me, so its not so bad that I outed myself! Before the surgery is done, we are required to drink these special shakes that help reduce the amount of fat that surrounds the organs. It also helps you to lose a bunch of weight fast. Usually the surgeon will prescribe shakes called Opti-fast. A typical person would consume 4 shakes per day. The Opti-fast Shakes contain aspartame. I am allergic to aspartame so the alternative to that for me was to drink 4 Boost Diabetic with 2 scoops of Unflavored protein powder per day. The surgeon also will tell you the period of time to drink them. I needed to consume them for a period of 3 weeks. It was really hard at first. I went through caffeine and sugar withdrawal for the first few days, but after it passed, it wasn't so bad. The results were too exciting to ignore. I started drinking the shakes on August 28th (oops a day early) and finished drinking them on September 18th. I lost a total of 25 lbs pre-surgery. On September 19th surrounded by my parents and some pretty great friends, I took the brave step of having the Gastric Bypass Surgery done. 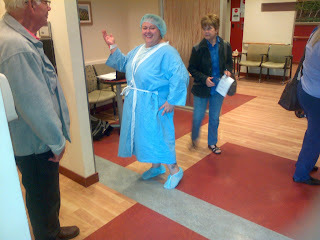 This is me, all prepped and ready for surgery at Toronto Western Hospital. Day of surgery, 25 lbs down! I was very excited, but only a wee bit nervous at this point. I think my mom (black jacket) and dad (grey sweater) were more nervous than I was. The surgery was successful. It is now 2 weeks post surgery, I feel pretty great! My scars are very minimal due to the fact that it was done laparoscopically. My surgeon and his team did a wonderful job and the nurses took great care of me. I am down an even 40 lbs and very excited that most of my clothes are getting too big! (Dont worry, I stocked up on some smaller sizes for the journey!) I will post a progress pic just as soon as I figure out what I want to wear for the picture!